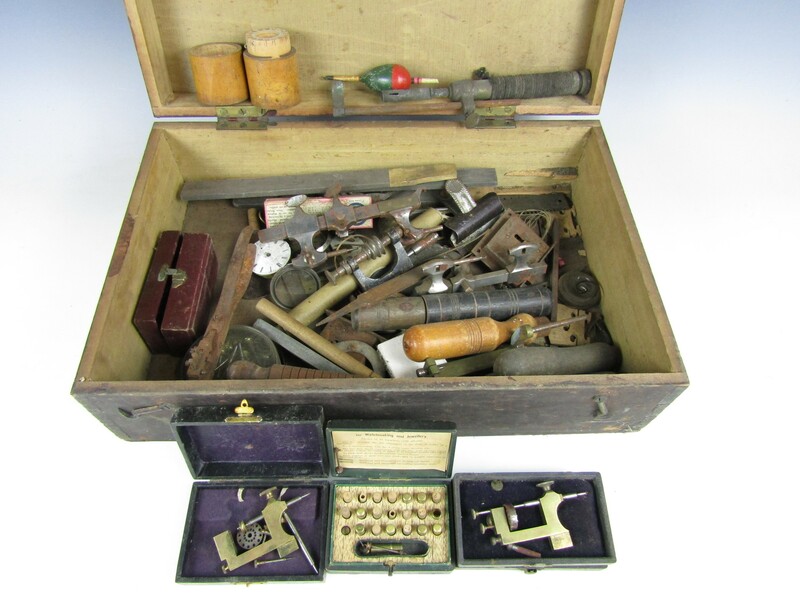 A wooden box containing vintage watchmakers&#39; tools etc. 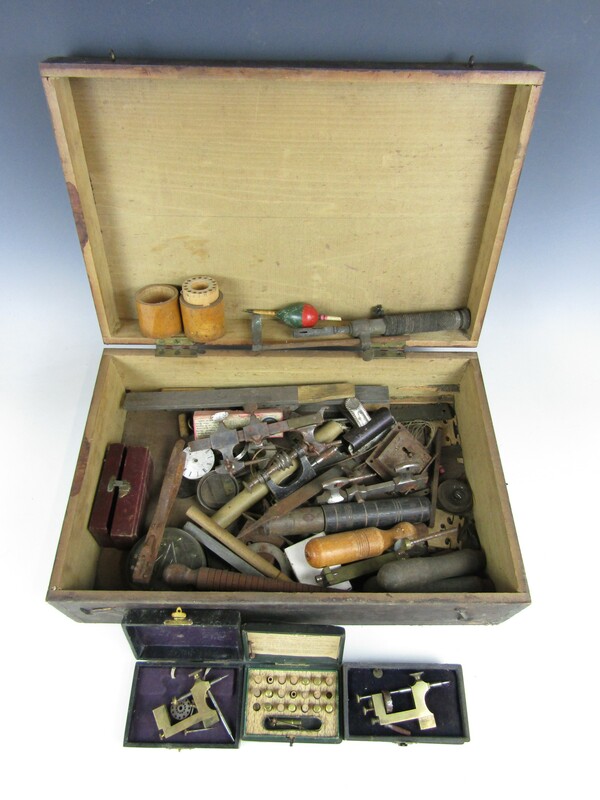 A wooden box containing vintage watchmakers' tools etc. You are the current highest bidder! To be sure to win, log in for the live auction broadcast on 10 Jun 2017 10:00 BST or increase your max bid.